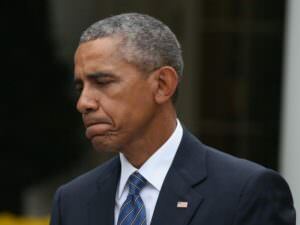 U.S. immigration officials have revealed that their current backlog of deportations is 550,000 after illegal aliens were granted temporary amnesty by former President Obama. To put it into perspective, the 550K number of deportations facing Immigration and Customs Enforcement is bigger than the populations of Atlanta or Sacramento. Plainly, ICE is being overwhelmed by the sheer scope and size of the work needed to be done. Our officers had to turn their heads and walk the other way. So that’s a large part of that problem, the fact that we couldn’t enforce the law. Liberal judges have also protected and forgave illegals – as displayed in recent cases. “We need to hold liberal judges accountable,” ICE Director, Thomas Homan, said in a statement. Albence also pointed out that the excessive number of deportation orders is due to nearly 300 sanctuary cities where federal immigration law is not enforced and illegal aliens are protected and unable to be seized by ICE. There has to be a consequence and a deterrence to illegal activity or the illegal activity won’t stop. We’ve made a lot of headway this year, more than I’ve seen in a long time, and we’ve got to keep going down this road. We’ve got to keep momentum going. Lots of headway made this year – and more than the ICE Director has seen in a long time… it’s official, folks – Trump means progress!